One of the most rewarding things about living abroad is how much it changes you. You don’t notice it when you first leave– or even after being in another country for several months. You notice it when you go back home, wherever that is. Suddenly, there are all these little comparisons, trivial things that pop to mind, that together change the way things in your world appear. Nothing makes you more aware of your own culture than traveling abroad. So many things you take for granted are illuminated, brought into the light, when you have a solid comparison. Things that always “just were,” suddenly aren’t the only possibility. When I was 24, I moved to Korea for a year. It was the first time I had lived outside America and my culture for a long period of time. Throughout the year, of course I was learning- but I wasn’t aware of how much I absorbed simply by living within a culture so different than my own. After returning home, I was overwhelmed for months by American Culture– a process known as reverse culture shock. Living in Korea, I had the choice of 3 breakfast cereals when I went to the store. I found myself literally crying (not tears of joy- tears of utterly overwhelmed confusion) in the cereal isle when I came home. Why did I need 172 cereals to choose from? And with so many, how could I possibly choose? I went home without any cereal at all. Korea was a unique experience. It is a very homogenous culture– so things are done in a very Korean way there. Although it’s a modern city, with access to the world market, the people there still prefer the Korean way of doing things. Western influence has not completely infiltrated society, as it has here in Malaysia. I returned to the States on the 23rd of December, just in time to spend Christmas with my family. In a rush to do a bit of Christmas shopping, I went to Nordstroms. I was standing in line, waiting for the cashier, when a woman walked up behind me. Without even thinking of what I was doing, I instinctively flung out an elbow to protect my place in line. My boyfriend gave me a strange look, and it took me a minute to bring myself back to where I actually was. Forming lines is not a common practice in Korea– and there being a line means very little. One of my biggest annoyances living there was being in a public restroom, waiting for a stall. When one opened, if I hesitated half a second, a woman who had just walked into the room would push her way into the stall, often leaving me standing there for 20 minutes trying to get myself to be aggressive enough to be able to use the toilet! Or being on the street, waiting for a taxi, only to have one finally stop, and have a MAN dash down the sidewalk and jump into it without giving me a second thought. Survival of the fastest and most aggressive! Something we think of as very impolite in America- to a Korean, it was just efficient, as it’s a very crowded, densely populated city. I majored in anthropology in college. I’ve always been fascinated to learn about other cultures. Living in other cultures is definitely more powerful than reading about them, but I still have learned a lot about the world through the books I began reading in college, and continue to read today. Here are some of my favorites that I’ve read in the past years that have helped me understand my place in the world as an American and a female. If you’ve seen the movie, the book is so much better, as they often are! It took me years to finally add this to my Kindle, and only days to finish it. Written from the perspective of a young Japanese woman living in Kyoto before and after World War II, this book gives an account of life as a female in war torn Japan. The main character is sold by her poverty stricken family, and because of her attractive looks (and despite her very young age!) ends up working as a high class prostitute, known as a Geisha. The women who work in this industry are clever, driven, and competitive. 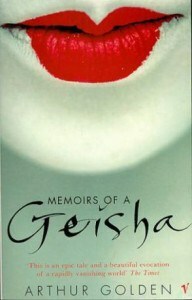 This historical fiction novel gives great insight into women’s culture in Japan. It makes it easy to understand why woman have such powerful and predominant roles in Japanese society today. The book is humorous, sad, a bit shocking at times — really a must read! Wow, is North Korea a twisted place. While living in South Korea, I visited the “DMZ” – the demilitarized zone- between North and South Korea. It is the most heavily guarded border between two countries in the world. The need North Korea feels to block the world out was always intriguing. What are they hiding? This book is a work of fiction, but written by an author who has spent countless hours studying North Korea, interviewing North Korean defectors, and gathering details about this elusive country and its culture. There are things in this book that are very difficult to believe could really happen anywhere in this world, being an American– so I had my computer and my trusty Google next to me a lot of the time while I read this book. And surprisingly, many of the accounts I inquired about turned out to be based on factual events. This book would get 5 stars, because the content is excellent, but the first half is a bit difficult to get in to. Perhaps the author did that intentionally- because North Korea is a different world, and it was hard to get my head into the right space to understand what it is like there, as described in the book. This is another one that had me doing a lot of fact checking. First off, I wanted to know if the Princess was real. The book is written by an American author, and published as fiction. 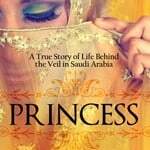 It claims to be the factual account of a Saudi Arabian princess gone rogue, who enlisted an author to tell her story. I’m not sure I believe the books (there are 3- it’s a trilogy- and once you read one, you’ll want to read the other 2) are 100% factual. 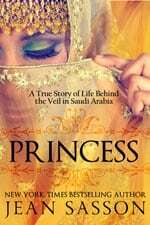 But I do know that whether the events described in the book actually happened to this princess or not, similar events have and still do take place in Saudi Arabia. If you want to feel blessed to be a woman in the Western world, and are interested in the woman’s plight around the world, this book is fascinating, albeit a bit disquieting. 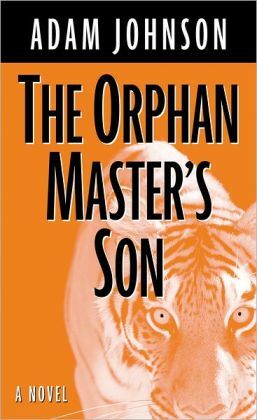 I read this book quite a long time ago, but still remember how moved I was by the story. 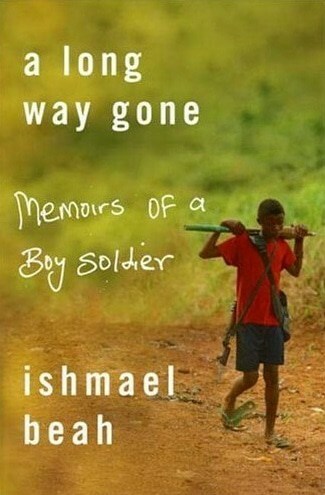 Ishmael grew up in Sierra Leone during the civil war, and while very young, separated from his family, not sure if they were alive or not. While trying to survive as wandering adolescent boy, he is recruited by the rebels, and brainwashed into becoming a soldier, desensitized to killing and torture. He, and many others like him around the world, wasn’t given a choice. It was become a soldier and kill, or be killed. 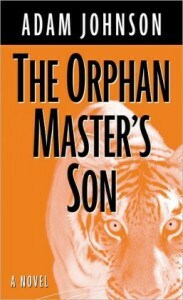 The story continues after he escapes and is sent to America as a refugee. There, he receives counseling as he goes through a harrowing version of culture shock, and transitions away from his life as a mass murderer to one of an American citizen. 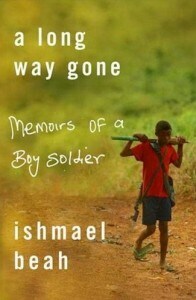 Thought provoking, heart wrenching, and incredibly well written. I am pretty sure I finished this book in a day or two.